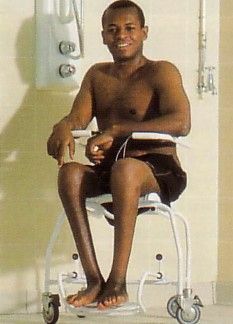 Oxford Mermaid Electric Bathroom Hoist Safe Transfer. 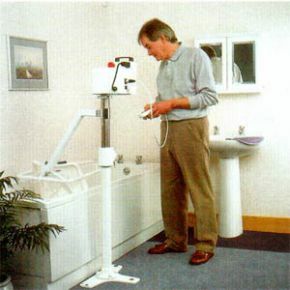 The Mermaid can be fitted in two positions relative to the bath. The most common is the side fit, where the mast is fitted at the side of the bath and the end fit is where the mast is fitted to the center line of the bath at one end. The seat has a locking system that allows safe transfer and when the chair is unlocked it will rotate 360 degrees. The seat is raised and lowered by the hand control (on a flexy cord) which is plugged into the control unit at the top of the main column. The batteries are located in the power pack and are charged through a socket which also serves as the power supply socket for the lift. The socket is labelled POWER/CHARGING POINT. 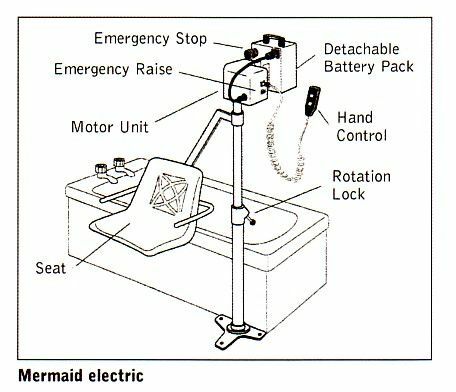 The battery pack on the Oxford Mermaid can be removed from the lift and charged independently or it can be charged while still attached to the lift. An additional battery pack can be supplied, if required, so that one pack can be on charge at all times. 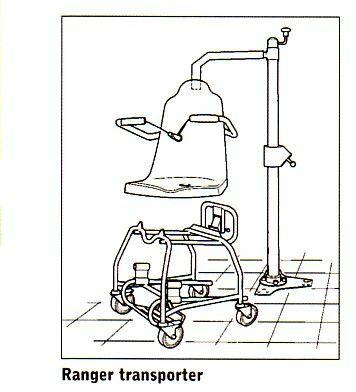 The Mermaid has an Emergency Raise facility that will raise the seat should the lift fail to rise through the hand control.The Transporter chair is made in) complete chair are connected with a simple latch located at the rear of the seat. Brilliant bath chair for my Mum to use, shes very pleased with this and we were kept up to date on the delivery too which was quick. Very happy with Active Mobility and I will be a returning customer.